Anybody who’s ever tried to answer a “what’s the best” type question, knows it’s virtually impossible to answer. What’s the best camera? You’ll get every possible manufacturer. Pick any other product and you’ll get the same results. Everyone is prejudiced by their own experiences. However, one thing I’ve found about seasoned artists like Ossian. Because they have so much depth in their experiences, they also have a wealth of information to draw from. Ossian does a terrific job sharing what he looks for in a great lens and why. Keep track of Ossian’s whereabouts and follow him on his Facebook page as well as at Travel Vision Journeys. What’s the BEST Lens for Wildlife Photography? In all honesty, there is no right answer to this question. But I can tell you my experiences and what I’ve learned over the years to look for. Before I could even consider exploring the world of wildlife I had to find a good telephoto lens. I knew I had the passion for the craft, just not the right gear. The first criteria I knew was a necessity, was great glass. I needed good optics. Next came fast and accurate autofocus. While there are times I might focus manually, technology with fast focusing has helped me capture some of my most favorite images. Last on my list was a good focal distance. But then, in deciding on the best lens, comes the big question. What is a good focal distance? Back in the film days I was shooting mostly landscapes and every now and then wildlife as well. I had a 300mm lens. While the results were good, I was still too far away from most of the animals. Coming into the world of digital photography I could still use the 300mm and then crop to a factor that with my Nikon D70 the lens became a 450mm. It still wasn’t enough to get me as close as I needed to be. So, I bought a 1.4x teleconverter. That took my 300mm and the crop factor to 630mm. That was definitely better, but technology has changed so much and given us amazing tools to capture incredible images. With the technology available today, 600mm is the minimum Real Focal Distance to consider for wildlife. Shoot with anything less than that and you’re guaranteed to hit your frustration level when you review your images. 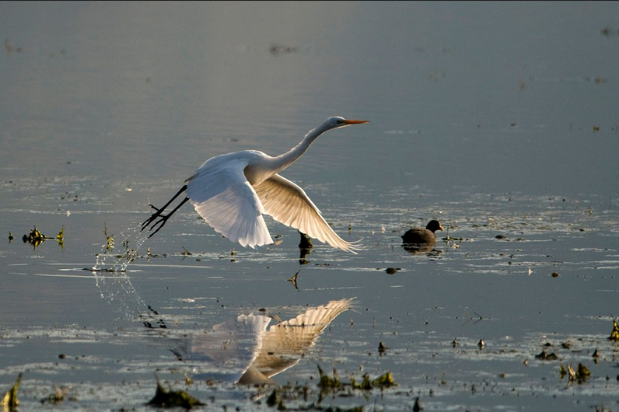 The image above is a Great Egret photographed with a Nikon 300mm f4 lens with a 1.4x teleconverter. Mounted on a D300 Nikon body with a DX sensor. It goes to a Real Focal Distance of 630mm. 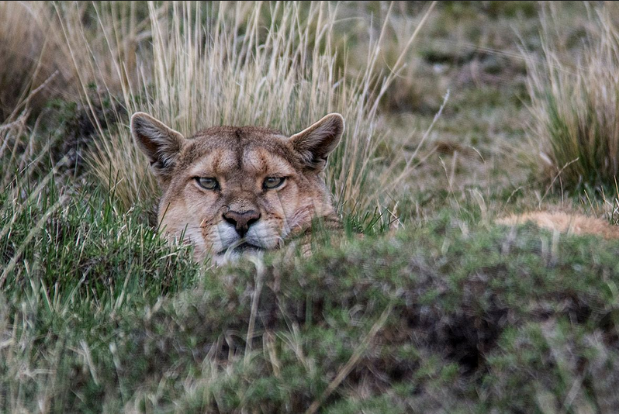 The second photo below is a Puma photographed with a Sigma 150-500 mm lens at 500mm mounted in a D7100 Nikon with DX sensor. The Real Focal Distance is 750mm. In the end, as artists we’ve all learned to work the best tools we have access to. For me, I love a good telephoto, but there are always other factors, for example size and weight. There are obviously longer more expensive lenses, but there’s a lot of glass out there I just wouldn’t want to carry on a long hike. Plus, I like being far enough away from the wildlife to not frighten them and get natural images, yet close enough to appreciate their environment.